Woohoo! I am so happy to say that I am finished with Whole30. While the wrap-up post is being drafted, I crafted a list of easy Whole30 snacks that will help you on your journey if you are starting this month. This year, Ernie and I splurged and picked up Movie Pass and the Cinemark Movie Pass. We love going to the movies and sometimes we see two more movies during the weekend! I found that going to the movies was not the same without popcorn. So I was always experimenting with snacks to bring in the theater. Throughout the month, I picked up and all Whole30 compliant snacks that were portable. During the Whole30 program, I was adjusting to new flavors and snacks. There were some foods that I tried that just didn’t work out – compliant mayonnaise – but a lot of them tasted really good around day 20. If you are starting Whole30 this month, I want to let you know that planning out your meals is key! It may seem strange to bring food with you everywhere, but you will love having these snacks on you if you get hungry. 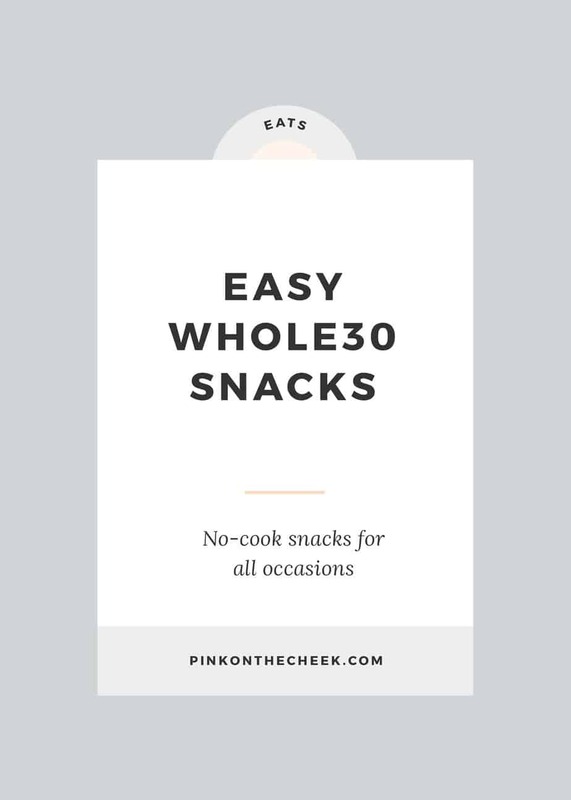 Let me know if you have any favorite Whole30 snacks, I love getting more ideas! I haven’t done Whole30 yet, but I’ve done a similar diet (State of Slim) to get the toxins out. Meal planning is definitely key because it’s much harder to “throw something together” or grab something while you’re out when following strict diets. Thank you for sharing; many of these can be used in my diet too! I love doing whole 30 but always have a hard time with snacks! This is totally helpful! I like the list of healthy snacks. Im struggling and have been considering trying W30. Also…what’s the deal with kambucha? I see it everywhere these days, but I’ve never had it. Snacking is the hardest part of eating right and these snacks look like delicious craving stoppers. The prosciutto and melon is calling to me. That looks amazing! I love healthy snacks!